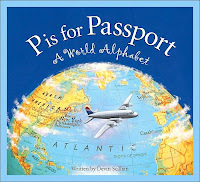 Each book feature beautiful illustrations, a rhyme for the letter and word on that page, and a detailed sidebar that provides additional information. I can't say enough about these books. They challenge 10-year-olds with new concepts; they are accessible for young readers who are learning basics of a topic.